Ok so, for me, this is a slightly different blog to usual because it’s not Makeup related but I do think that this is something my readers would enjoy and be interested in. When browsing through Instagram I came across “Colourless”, which is owned by TAM Beauty (the people that brought you Makeup Revolution). Colourless is a hair colour removal product, which comes in Pre-Colour, Go Blonde, Max Effect and Max Condition. Colourless retails for £9.99 (available at Superdrug). I have been thinking about stripping my hair back from black to more of a red colour but, from experience, I know what a pain permanent black hair dye is to remove, especially when you have been colouring your hair for years. 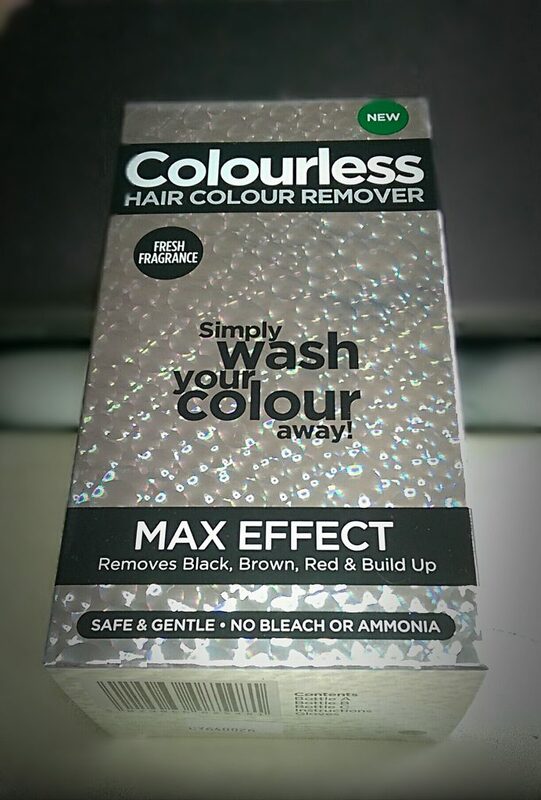 When I saw Colourless’ post on Instagram I asked if I could review the Max Effect one and, luckily, Colourless contacted me and agreed to send me a box to test. In the box you get your developing lotion, the colour removal lotion, shampoo, gloves & instructions. 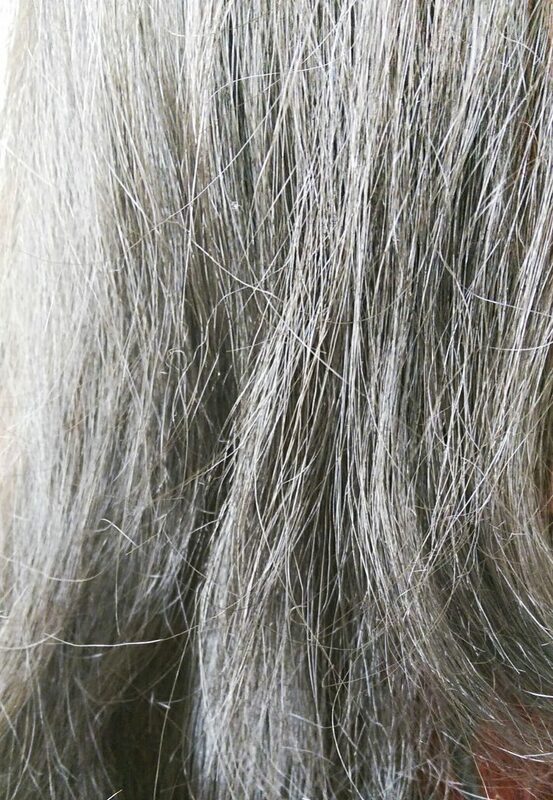 Colourless Max Effect removes permanent and semi-permanent hair colours and contains 25% more active ingredients to help remove stubborn build-up and dark colours. This ultra strong formula removes Black, Reds, Browns and Dark Blondes. So, it got to Saturday afternoon and I decided that I had enough time to do the process (allowing for the 45 minutes developing time and 15 minutes rinsing time). In hindsight, when washing the lotion off it would be a lot more comfortable to actually sit in the bath, rather than lean over it like I did. Perhaps the only change I would have made would be to not use half a bottle of shampoo for each lather. That is a lot of soap and suds! It may have been better to only use the shampoo needed to lather up the hair according to thickness / length, etc. I applied the mixture, which went on really easily. 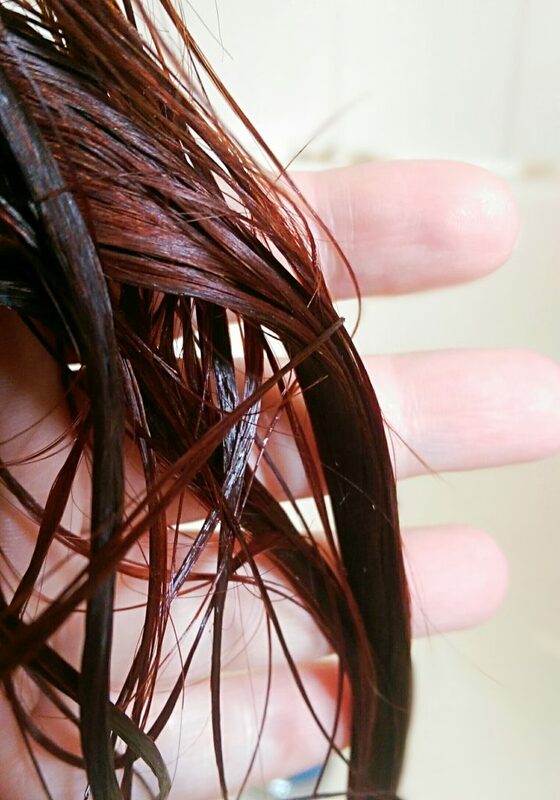 In my experience with home hair colours, it is difficult (and often painful) to try and comb the dye through but, thankfully, the lotion in Colourless Hair Colour Remover is easy to comb through. With regard to the scent, it isn’t exactly what I would call “fresh”. It’s certainly not the worst thing I’ve ever smelled, but it’s not one of the best either. However it wasn’t so awful that it made me feel sick (unlike various other products I’ve used in the past). Once the lotion was all applied, and my hair was sufficiently covered, I wrapped myself in cling film and started to get a better picture of how an oven ready turkey may feel. The weird thing is that, at first, you can’t actually see the product working. I found myself wondering if it was actually working, if I had applied it properly, etc. but, when I removed my cling film helmet after 45 minutes, I could see that my formerly black hair had definitely changed colour. I should probably say as this point that I have been dying my hair since I was 17, I am now 35. My hair has, almost literally, been every colour imaginable so I wasn’t altogether sure what I was expecting underneath the black. I certainly wasn’t expecting to get back to my natural, untouched hair colour of light blonde. After lots of rinsing, shampooing and blow drying I was so pleased with the result. 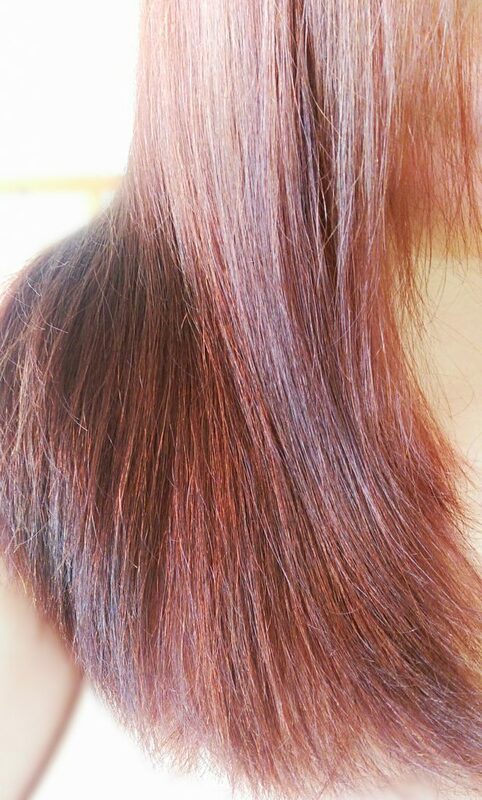 I have not applied any dye to my hair, this is literally the colour that it went after removing the lotion. I love the colour and I also love the ombre type effect where the lengths have had more colour build up on them. I was planning on dying my hair but, having seen the colour it has gone, I am actually so happy and will be leaving it the colour it turned out. A better picture of the ends which still looked black in the previous picture. 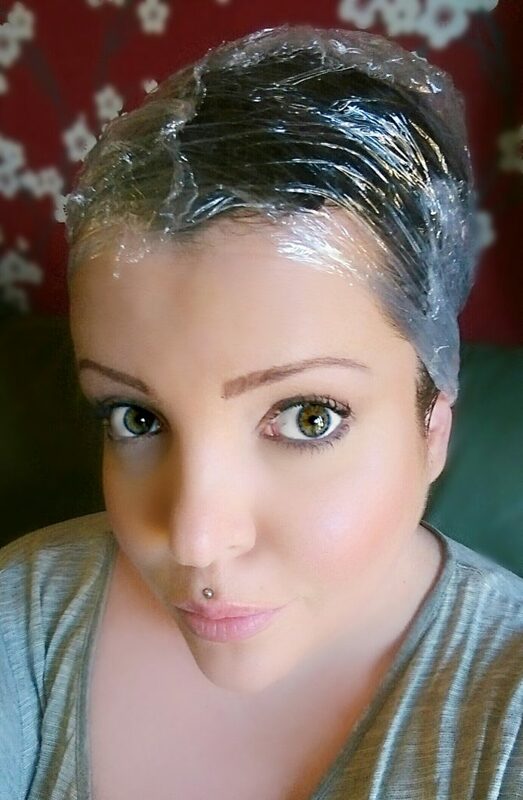 I would definitely recommend Colourless Hair Colour Remover to anyone who wanted to remove dye from their hair. The process is super easy and can easily be done at home. My hair has been left soft and shiny which, I feel, is down to the lack of bleach and ammonia in the product. When I dye my hair again in the future and decide I want to take the colour out (it happens a lot) I will definitely use Colourless Hair Colour Remover again. 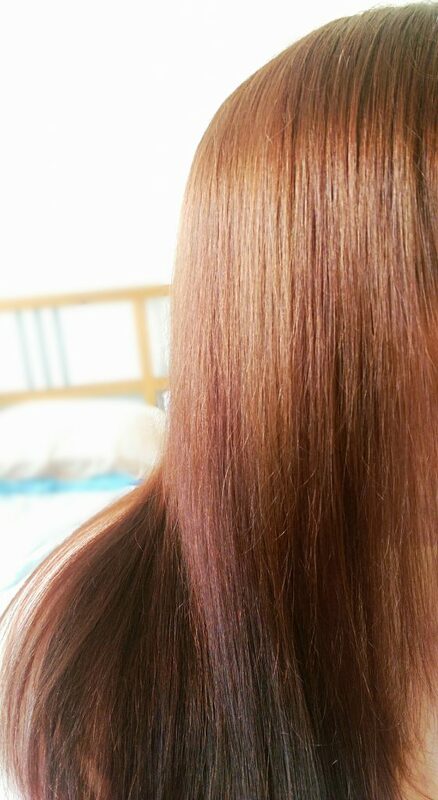 It is much cheaper and easier (and, in my opinion, better for the hair) than going to a salon to get a colour stripped. I would like to take this opportunity to thank Colourless for agreeing to send me their product to review. I couldn’t be happier with the result. * This is a sponsored post. 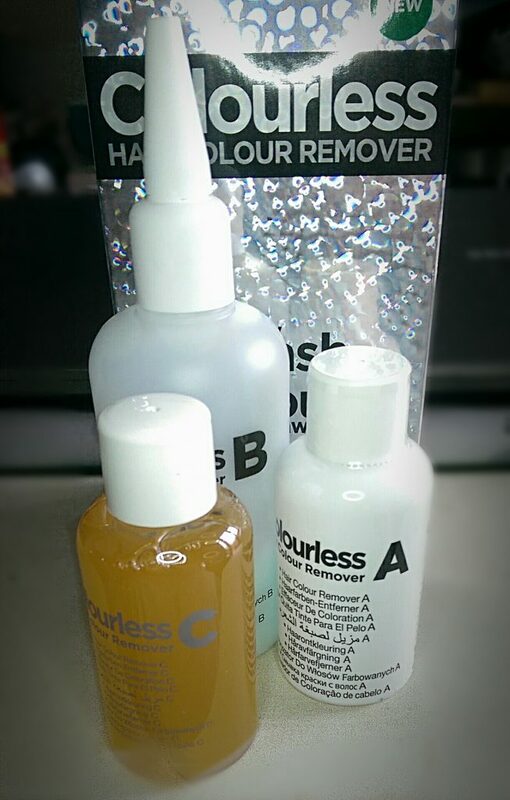 I was sent the box of Colourless Hair Colour Remover by TAM Beauty for the purpose of this blog. However, as stated above, all of the views expressed in this post are mine. * I am in no way financially involved or affiliated with Colourless, TAM Beauty or Medichem International or any of their employees.